Development and Humanitarian Learning in Action. Dahlia is a group of communication and evaluation professionals committed to humanitarian responses that further empower affected populations and place them and their needs at the heart of efforts. Dahlia focuses both on evaluating communication and information flows in humanitarian response and development, identifying gaps and solutions and better communicating on evaluation. Overall, there has been great progress in terms of strengthening coordination and partnership. Much work remains, however, to improve accountability and beneﬁciary participation – by far the weakest area. Respondents also rated the relevance of the proposed recommendations according to a 5-point scale. All five of the recommendations received well over 4 points each. Enhanced coordination of early warning and response with multi-stakeholder consensus on triggers for action. Early warning released in a timely manner with accurate data and used to provoke response with funding available to do so. 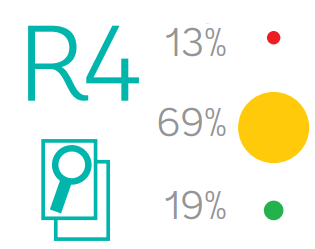 Earning the highest percentage of yellow ratings from survey respondents (72%), R1 was gauged the recommendation with the third-lowest level of implementation. Despite progress on early warning systems and mechanisms, many interviewees had questions surrounding actual engagement in early action based on early warning information. 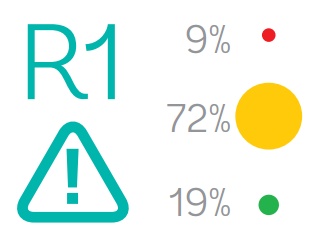 Respondents consider that the Government’s recently approved Disaster Risk Management policy puts greater emphasis on early warning and that implementation is underway. Some 300 of Ethiopia’s 800 woredas (districts) now have early warning systems in place, while many early warning committees exist at the village, district, regional and federal levels. Where capacity is lacking, NGOs work to offer support. Several humanitarian organisations also collect early warning data. For instance, one of Oxfam’s early warning systems monitors boreholes in vulnerable areas to check water levels, disseminating this information via text messages. Overall, ‘quality and quantity of early warning information’ is seen to have improved. Most stakeholders appear well aware of the triggers that prompt emergencies as they occur on an annual basis. Criticisms abound, however, regarding the use of early warning data. The lack of availability of early funding and an excessively bureaucratic system are cited as key obstacles to early response. The CERF Review in Ethiopia points to limited ownership of the CERF as a possible reason for the Humanitarian Coordinator/agencies not requesting CERF funds earlier. OFDA and ECHO are notable exceptions, providing “pre-funding” that affords their partners the capacity for early action. Nevertheless, funding for ECHO’s resilience support programme, Supporting the Horn of Africa’s Resilience (SHARE), has been cut. USAID is also trying to expand its use of crisis modifiers, which enable development programmes to transition quickly to emergency situations. While the Humanitarian Response Fund (HRF) is seen as faster than donor government funding, interviewees did not believe it was available for early action. In terms of smaller grants, IRC and GOAL receive funding for sudden on-set emergencies from ECHO’s Emergency Response Mechanism. Enhanced partnership frameworks among humanitarian organisations. Joint analysis and programming takes place among key mandated agencies. Harmonised standards collectively agreed upon. Decentralisation to the ﬁeld level encouraged. Coordination fora used strategically with the participation of all key stakeholders. 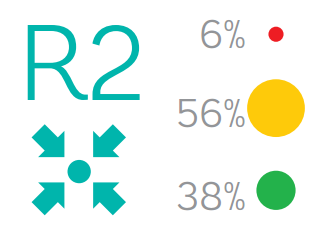 Rated the recommendation with the highest level of implementation, R2 earned the highest percentage of green ratings (38%) and the lowest percentage of red (6%). Most interviewees reported that coordination in Ethiopia is the best they have seen, particularly given the establishment of Disaster Risk Management Technical Working Groups (DRM TWG) at the federal and regional levels. A minority felt that coordination is not translating into action. Multiple coordination fora exist, including HINGO, Humanitarian Community Coordination, the Ethiopia Humanitarian Country Team (EHCT) and the Strategic Multi-Agency Coordination Forum. Clusters also abound, their quality varying across sectors, with weaker performance in health and education. Clusters are used to review proposals for the Humanitarian Response Fund, thus incentivising attendance. An OCHA-led cluster leads meeting further fosters inter-cluster coordination. There are coordination bodies within the government, such as the National Disaster Prevention and Preparedness Committee, the Disaster Risk Management and Food Security Sector (DRMFSS), the Administration for Refugee and Returnee Affairs (ARRA) and the Charities and Societies Agency (CHSA). A common complaint among interviewees concerned a lack of donor coordination, although many consider OFDA and ECHO exceptions in this regard. Despite the existence of an informal donor coordination body, the Humanitarian Donor Resilient Group, it is not felt to have translated into harmonised donor funding. Significant coordination challenges also emerged in response to the arrival of Somali refugees in Dollo Aldo in 2011, stemming in part from confusion over roles and responsibilities. UNHCR has since developed letters of understanding and internal guidance notes on inter-agency partnerships and information management. Progress in terms of joint efforts includes joint assessments and mid-term evaluations undertaken by consortiums of NGOs. EU/ECHO requests joint resilience proposals and there is a joint WASH action plan for the government. In some cases, coordination groups are being used to harmonise standards. The potential to use clusters as a forum to harmonise standards has been observed, as has a push from donors toward this end. Contingency plans developed and regularly updated at the inter-agency and organisational levels. Capacity to transition to emergency mode ensured, in particular with adequate staﬃng. Partners identiﬁed and protocols in place prior to crisis. An appropriate level of preparedness exists for new refugee emergencies. 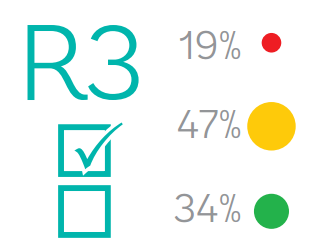 Considered the recommendation with the second highest level of implementation, R3 earned the highest percentage of red ratings (19%) and the second highest percentage of green (34%). 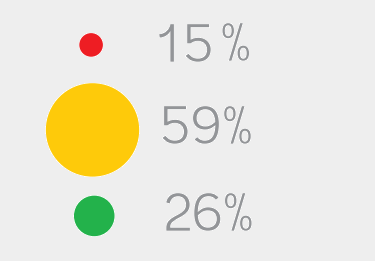 Its score indicates a wide range of opinions concerning progress in its implementation. For some respondents, contingency planning at the national level is significantly better than at the local level. They point to the national Disaster Risk Management Policy as evidence of the focus on a “holistic approach to disaster management with a complete cycle: from prevention up to mitigation…preparedness (ensuring readiness through strengthening early warning system[s], building logistic capacity, maintaining adequate resources and other precautionary measures), response…, recovery… and rehabilitation.” Others perceive a lack of commitment to contingency and preparedness plans by humanitarian organisations and the government. Contingency planning at the organisational level varies among the organisations interviewed, with one undertaking such a plan every six months, while others do so sporadically or not at all. Funding difficulties were cited as a key reason for this state of affairs. None of the interviewees were aware of any efforts for joint contingency planning. The capacity to transition to emergency response has become less of a problem for many organisations. Many report undergoing significant internal change to ensure their surge capacity and staff training. In fact, some found it more difficult to transition back to a development focus, referring to the “damage” humanitarian aid does to development. In their view, the issue of most importance is the availability of timely funding for emergencies and the transition period. USAID’s crisis modifiers and EU/ECHO’s focus on resilience were praised in this regard. Many organisations felt that that preparedness for refugee situations has not improved, despite its importance in light of Ethiopia regularly hosting refugee populations. UNHCR’s management response to the “Independent Review of UNHCR’s Response to the Somali Refugee Influx in Dollo Ado, Ethiopia, 2011” reports that multiple contingency plans have since been developed and regularly updated, as well as letters of understanding and accountability matrices to clarify the roles and responsibilities of UNHCR and the Administration for Refugee and Returnee Affairs (ARRA). One NGO pointed to a “gap with the ARRA” to explain the lack of preparedness for refugees. With a few notable exceptions, most organisations did not have a contingency plan in place for the South Sudanese refugees arriving in Gambella and were thus not prepared to respond to the situation. Needs assessments released early on using accurate and reliable ﬁgures to inform programming. The needs assessment methodology and capacity to assess needs has been enhanced. The range of vulnerability groups targeted has been increased and programming is based on their speciﬁc needs. Programming has been adapted to changing needs and appropriate to the culture and context. The quality of data poses significant problems. Despite some improvements, the way in which needs are determined is not considered transparent. Numbers on those in need are often influenced by political considerations and may, therefore, be suspect. For instance, when the government annually ranks the woredas (districts) based on their level of food security, some regions exaggerate or reduce relevant figures. Figures cited in the Humanitarian Requirements Document are also thought to underestimate the reality on the ground. While government offices at the regional level are felt to have a better understanding of needs, they often lack the resources to respond. Moreover, organisations each conduct their own needs assessments which they do not formally share with others. Nevertheless, NGO Country Directors reported sharing data with other Country Directors with whom they have a personal relationship. A number of evaluations argue that vulnerability criteria should be expanded beyond targeting women to include the elderly, those with disabilities, households headed by women, the chronically ill and orphans. Some interviewees reported examples of exclusion, which they attributed to a lack of resources. Others defended the way in which vulnerability is considered by their organisations. Given the CSO law in force in Ethiopia, prohibiting organisations working to “promote gender equality, the rights of children and the disabled” from receiving more than 10% of their funding from outside the country, it may appear that integrating gender sensitive programming would be especially difficult. However, organisations do not see the CSO law as limiting, although it prevents individual organisations from lobbying the government. Some felt that the UN should be doing more to challenge the government in this regard. Several evaluations also pointed to the need for programming to adapt to culture and context. Despite certain difficulties related to pastoralists, most of those interviewed do not consider this a major concern since most field staff are themselves Ethiopian. Some felt that the issue of culture and context is, at times, over-mystified. Should the situation alter and adjustments in programming be required, donors are considered sufficiently flexible to allow for changes. Accountability is an organisational priority and Commitments on Accountability to Affected Populations are tracked. Beneficiaries participate in all stages of programme activity. Complaint mechanisms have been established and are clearly explained to beneficiaries. The latter receive full details on programmes in a timely and culturally appropriate manner. 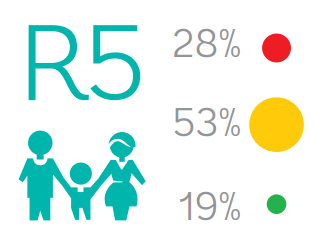 With the highest percentage of red ratings (28%) from survey respondents, R5 was considered the recommendation with the lowest level of implementation. Nearly all interviewees agreed that accountability and beneficiary participation is in need of significant improvement. Many, however, questioned how this may be achieved in the Ethiopian context. Interviewees concurred that beneficiary participation is a common weakness in Ethiopia’s humanitarian programming. Beneficiaries, they point out, are not involved in all programme stages. Some indicated the importance of language in fomenting participation. As one stakeholder put it, “In development we describe people based on their strengths and in humanitarian [aid,] based on their weaknesses. Some of this seeps into our mentality”. Accountability to affected populations in particular is considered a major challenge. Stakeholders express a keen understanding of the difficulties inherent in ensuring accountability in humanitarian situations. As such, accountability issues are subject to significant debate in the country. Other respondents felt that ensuring accountability is nearly impossible in Ethiopia, although several organisations are attempting to develop viable accountability mechanisms for the country’s particular context and culture.